Ars Sacra, ISBN: 9783848008957 - available from Nationwide Book Distributors Ltd NZ. Ars Sacra is an unique tribute to 2000 years of Christian art, architecture and spirituality. 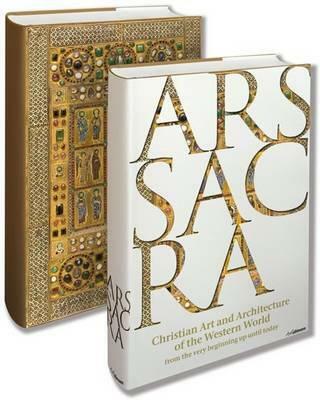 This glorious tome takes the reader on a tour through seventeen centuries of sacral art, architecture, and culture, from the late antiquity to the middle ages, renaissance, baroque, art nouveau to works by contemporary artists such as Marc Chagall and Gerhard Richter.